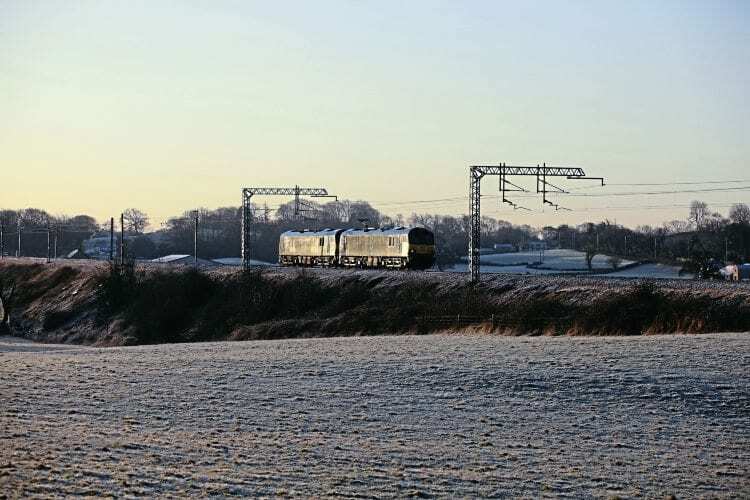 THE comeback of the Class 92s on Caledonian Sleeper duties took another step forward during January, as further locos were released from modifications at Brush Traction. The need to get the complex electric locos working reliably has been given further impetus by Freightliner requiring its Class 90s back so they can be deployed in pairs on West Coast intermodal workings, taking over from the Class 70s, which cannot keep to time on the Anglo-Scottish services. As January began, three Freightliner Class 90s were regularly employed on the overnight sleeper services, but this was dropping to two on occasions by the end of the month. In and out of Brush several times already for modifications, Nos. 92023 and 92033 were released again on January 17 – No. 66775 hauling them to Stafford, where the pair continued alone to Crewe. Next day, they ran to Polmadie to collect four Mk.3 sleeper coaches to act as a load for testing over the West Coast Main Line, returning south to Crewe in ‘top and tail’ formation. The tests between Crewe, Rugby and Carnforth took place on the 19th, with some solo running occurring thereafter. The evening of January 29 found No. 92023 working the 1S26/23.28 Euston-Glasgow, it having been preceded out of London by unmodified No. 92038 on the 1S25/20.57 to Edinburgh. That same evening saw Nos. 92010 and 92043 run light from Polmadie to Doncaster, from where they were hauled to Brush by Nos. 20096+20107 on January 30. Only No. 92010 was deposited though, the remaining trio continuing on to Stafford, where No. 92043 went forward to Crewe and the Type 1s returned to Doncaster. No. 92010 is the last of what should be the dedicated sleeper locos to go for modification, it joining No. 92018 in undergoing the work at Loughborough.